Whether it’s bi-polar temperatures or an attack from the cold season, coughs, sore throats, and sinus issues can be a plague on your household. So what do you do? Pop some Sudafed and take shots of Robitussin? Sure, you could do that. But if you want a healthier solution for your cold symptoms, Young Living essential oils are the way to go. In this article, we’ll discuss the top single oils and blends to fight off a cold, as well as a few EO remedies that’ll ease your symptoms. Waiting for sinus congestion and a sore or scratchy throat to subside can seem like an eternity. It’ll leave you restless, helpless, and left desiring a return to normalcy. First, here are the best Young Living essential oils for relief. Whether it’s sinus congestion, headaches, or throat problems, you will see that each oil targets specific cold symptoms. Eucalyptus: Consisting of a potent concentration of eucalyptol, eucalyptus essential oil is particularly helpful for deep coughs and nasal congestion. Lavender: Often known as the “cure-all” oil (due to its countless uses), lavender contains anti-inflammatory properties that can help with stress, head pain, and sinus pain. Peppermint: Similar to lavender, peppermint is an excellent “pain oil,” particularly for headaches and sinus migraines. Additionally, it provides respiratory benefits and increased energy. Oregano: With antiviral and antimicrobial properties, oregano helps ease cough, sore throat, and other upper respiratory issues. Studies show that it is the ultimate respiratory solution. Clove: This oil offers similar benefits as oregano, containing a host of health benefits. Antiviral, antifungal, and antimicrobial properties make it an excellent solution for coughs, headaches, and achy muscles. Lemon: Lemon is a curative fruit rich with antioxidant, antibacterial, and anti-inflammatory characteristics. It can help fight off a virus as well as ease congestion and an achy throat. Frankincense: An ancient and much prized oil, frankincense has many restorative properties. With a makeup of antiseptic, astringent, and expectorant properties, frankincense has a range of cold-fighting agents. Additionally, like lavender frankincense can relieve some of the stress that comes with illness. Basil: This powerful oil is particularly helpful for the sore and achy muscles that frequently accompany colds and the flu. Diffuse or rub a few drops on your chest to open up your airways. Sandalwood: Sandalwood isn’t a direct remedy for the cold. However, like other calming oils, sandalwood promotes relaxation to help you sleep and feel more comfortable. Thyme: Like the many other oils already listed, thyme is a great decongestant that also provides anxiety relief. Apply topically or diffuse a few drops to improve your comfort level. In addition to the single oils above, Young Living has an excellent blended roll-on product that specifically targets cold symptoms. Containing a soothing and rejuvenating aroma, the “Breathe Again Roll-On” is a great companion for a long day or difficult work shift. With peppermint, four different types of eucalyptus, and other oils, Breathe Again can relieve your cold symptoms and reawaken your senses. 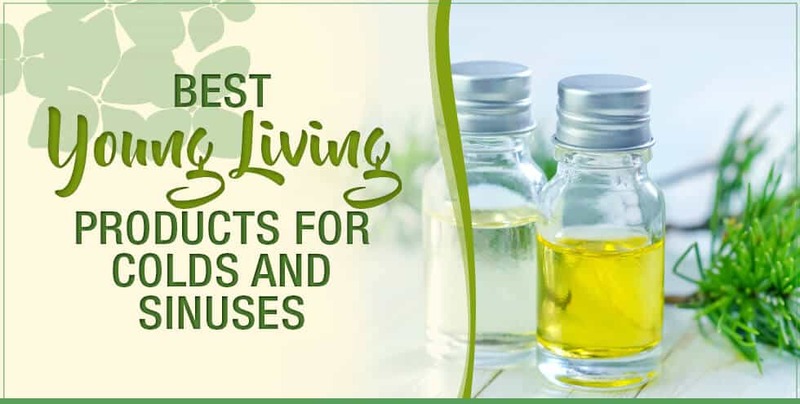 After reading about the following Young Living remedies, check out our essential oil accessories to further optimize your aromatherapy experience! So now that you know the best Young Living oils for colds, below you will find some natural cold remedies you can incorporate your oils with. Note that if you don’t have some of the oils in these recipes, you can substitute with a different oil in the list above. Applying your oils topically can provide quick relief of your sickness. For a cough, massage a diluted mixture of peppermint, frankincense, cedarwood, and helichrysum to your chest. For a sore throat, massage a diluted combination of peppermint, lemon, and tea tree directly onto your throat. You can start below your ears, work your way down the sides of your neck, and stop once you get to the bottom of your neck. Even more so than applying topically, inhaling your Young Living essential oils provides instant relief – especially for chest and nasal congestion. Steam, mixed with the right oils, helps soothe and moisturize your nasal passages. Mix 10 to 15 drops of lavender, lemon, and marjoram in a pot or bowl of steaming hot water. Then inhale from the bowl or pot deeply. This will help with congestion, sore throat and cold headaches. Apply a few drops of peppermint and eucalyptus to your chest before taking a hot shower. The steam from the shower, coupled with your oils, will help clear up your nasal passages. Depending on which symptom you are looking to address, add three drops of any of the following oils into 500ml of warm-to-hot water: Lavender, tea tree, frankincense, clove, marjoram, peppermint, lemon, or thyme. Shake up the bottle, soak an absorbent washcloth, and squeeze the compress to eliminate any extra moisture. Apply to your to your throat, chest, forehead, or nose and cheeks to alleviate the affected symptom. If you are looking for sustained, long-lasting results running your Young Living oils through a diffuser is a must. This can be done in your office, at home, or any place you will be spending a considerable amount of time. 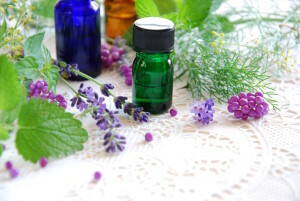 As aromatherapy has increased in popularity, there have been many different types of accessories introduced. If you’re out and about, most traditional applications aren’t practical, and if they are, they can be kind of a pain. Car diffuser: While some options aren’t super user-friendly (as you have to fill the diffuser with water), this is a great solution for your commute. USB diffuser: These are very simple to use. Just add a couple drops to the top of the diffuser and it will plug into any device that has a USB input (laptops, wall outlets, etc.). 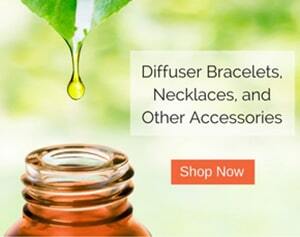 Diffuser jewelry: Diffuser bracelets and necklaces are an excellent way to diffuse your oils on the go and in style. 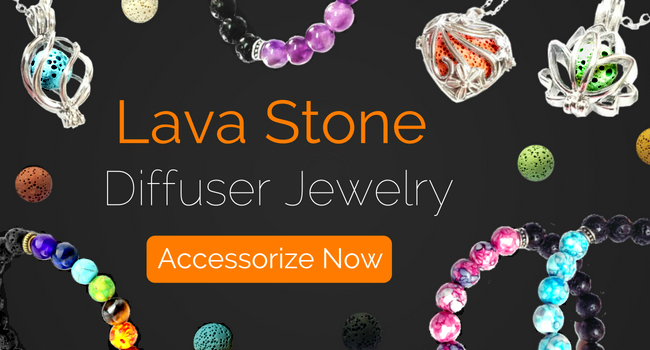 Lava stones are arguably the best diffusable material for essential oil jewelry. 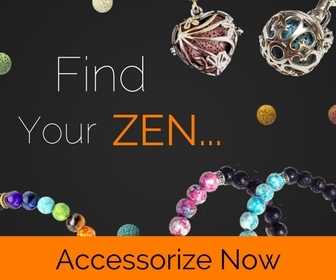 While you’re here, check out our online store for an assortment of lava stone diffuser bracelets and necklaces.